29 November – 9 December 2018. 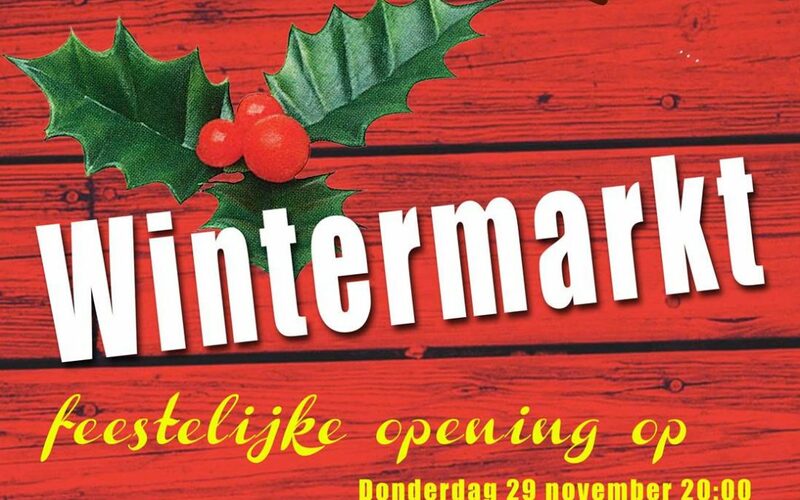 Opening on 29 November at 20.00. Maarten Bel, Vitória Aquino, Wessel Verrijt, Emma van Doorn, Pieter Chanterie. The cold winter days are approaching. Hopefully you have put on your warm wool socks and switched on the fireplace. If you are looking for even more additional warmth and love, come visit the Winter market at Kunstpodium T.
The winter market is part of the Apprentice Master exhibition and is the first one this season. Under the guidance of master Maarten Bel, four recently graduated artists will magically turn Kunstpodium T into a warm bath. In this, the structure of the immensely popular winter markets this time of the year will serve as a framework for experiment, collaborations and dialogue. So, put on your Christmas hat and come visit several stalls or listen to our choir, while enjoying a glass of mulled wine. Participating artists are: Maarten Bel, Wessel Verrijt, Emma van Doorn, Vitoria Aquino and Pieter Chanterie. The first exhibition of the eleventh season of the Apprentice Master program starts on Thursday 29 November 2018. During this first exhibition, the apprentices Vitória Aquino, Wessel Verrijt, Emma van Doorn and Pieter Chanterie will show their work together with master Maarten Bel. The exhibition shall take place from Thursday 29 November to Sunday 9 December 2018 at Kunstpodium T. The opening is happening on Thursday 29 November from 20.00 to 23.00. During the opening, the artists will be present to give an introduction on their work and the exhibition. You are welcome to attend the opening on 29 November or visit the exhibition until 9 December during our regular opening hours!